Normally this column scheduled to appear every other Saturday in the Forum of Kauai Garden Island News editorial page. These TGI articles are derived from IslandBreath.org stories. The TGI final printed version may vary from its source, as TGI retains the right to correct and edit the submitted articles. The exclusive use, and copyright to the published version is held by TGI owner, Kauai Publishing. This article details aspects of the mission of the Kauai Police Department discussed in the May 24th Island Breath column. The intent is to examine existing and alternative methods of police patrol. In the 1970s the Kansas City Preventive Patrol Experiment was scientific and thorough (see www.policefoundation.org). What it concluded was surprising, suggesting that routine preventive patrol in marked police cars has little value in preventing crime or making citizens feel safe. That is a startling result and has been underreported. 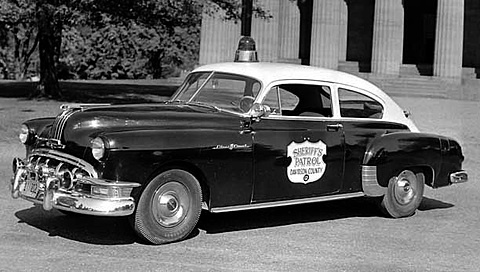 Almost universally, the use of the radio-patrolcar is considered the backbone of police work. Billions of dollars are spent each year to have police officers patrolling the streets in marked police cars in order to deter people committing crimes. In the end, these patrols mostly focus on fining the public for infractions of driving rules. "The Kansas City Preventative Patrol Experiment showed that cars don’t matter. Cops only need to be in cars to backup other police officers. Almost everything else could be done by foot and bike. And yet the Kansas City study changed nothing... Culturally, police like patrol cruisers and it’s almost impossible to get police out of cars." If primarily relying on patrol cars is an ineffective way to prevent crime we might be doing something fundamentally wrong. "Police pursuits are dangerous. Available data indicate that the number of pursuits continues to increase, as well as the number of pursuit-related injuries and deaths. A traffic accident constitutes the most common terminating event in a pursuit." Police Chief Magazine reports that Hillsboro, Oregon (population 79,000) has a good police pusuit policy that allows officers to abandon chases without consulting their superiors. "In two recent cases the decision to terminate potentially dangerous pursuits was made by the original officer as soon as the officer was aware that the suspect was going to flee. In both cases, the suspect quickly abandoned his dangerous driving and dumped the vehicle. In both cases, Hillsboro officers were able to take the suspect into custody swiftly." What is the reason for a high-speed chase on a small isolated island? In the vast majority of cases, is there anyplace for the "bad guy" to go? We need to know if a few economic all-wheel-drive five-door fuel-efficient compacts might better serve our community. 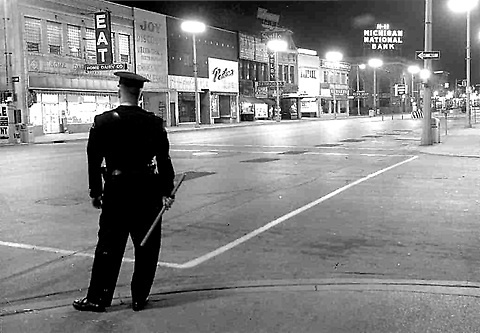 The book Community Policing: "A Policing Strategy for the 21st Century", by Michael Palmiotto discusses police patrol experiments like those Flint, Michigan; and Newark, New Jersey. These experiments were a careful studies of re-introduced foot patrols in high crime areas. Interestingly, like the use of patrol cars, the use of foot patrols seemed to have little effect on area crime statistics. However, residents in foot patrols areas had less fear of crime, improved feelings of community safety and better opinions about the police. These studies have given legitimacy to community policing outside of the patrol car and showed that foot patrols establish citizen-police cooperation in solving crime and disorder. Maybe we are looking at the wrong goals regarding police efforts. Foot patrols also are getting a new emphasis at the Kansas University Public Safety Office because of fuel costs. Earlier this year, the department purchased two $5,000 Segways. The two-wheeled, battery-powered, one-man transporters increase officer visibility and are useful for monitoring crowds as well as moving around campus, Maj. Chris Keary said. They also help cut gasoline costs. “On an everyday basis, officers can use them to do their patrols instead of driving the car,” Keary said. KU security officers, who handle much of the campus building security duties, use an electric car. The $12,000 vehicle purchased last year looks like a small truck with a bubble canopy. It has worked well, especially because security officers have more area to cover as West Campus continues to grow. "Monday, the city council will vote on a new tool for police officers to fight crime. The city of Pine Lawn, Kansas, hopes the unique crime fighting tool you might see on a golf course pays off for officers. Chief Ricky Collins and the city's mayor want to put several officers in golf carts. The goal is to improve relationships between officers and residents." "In a small town in Bremen, Ohio, deputies are trading in their squad cars for golf carts as gasoline prices continue to rise.The sheriffs say the golf carts have also improved their relationship with the community." I suggest that increasing alternative modes of police patrol such as foot patrol, bikes, segways, electric carts and horseback have benefits other than just better better face-to-face communication and fuel efficency. The result will be residents and visitors on Kauai sensing that the police are providing better service. An additional bonus could be a more physically fit and happier police force. A police force better suited for the future and one that could be more attractive to potential rookies. Here on Kauai wouldn't many idealistic kids enjoy serving and protecting their island on horseback, and being paid a policeman's salary to do it?